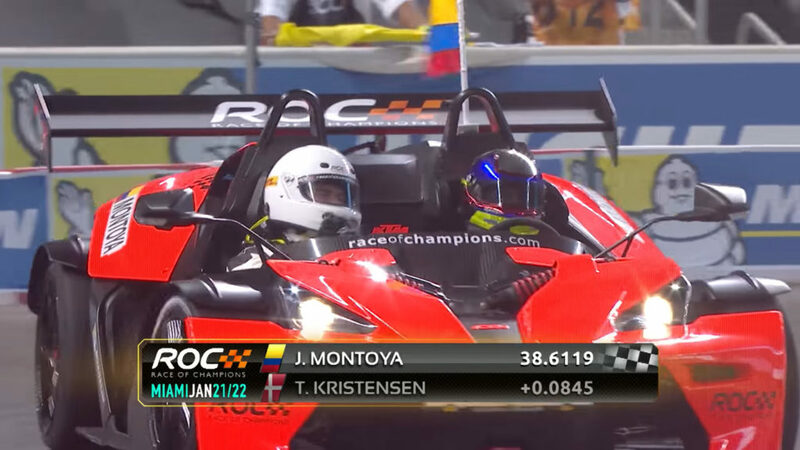 Juan Pablo Montoya and Sebastian Vettel were the two big winners at the Race of Champions (ROC) event this weekend. The event, split into Champion of Champions, Nations Cup and USA versus the World tournaments, saw the world’s top racing drivers compete. The Champion of Champions tournament saw event debutant Juan Pablo Montoya win, beating Le Mans legend Tom Kristensen in the finals. It marked Kristensen’s 15th Race of Champions appearance and his fifth time in the finals — he has yet to win the event. Montoya also beat Felipe Massa and Travis Pastrana en route to being crowned Champion of Champions. 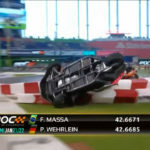 The Nations Cup saw Sebastian Vettel single-handedly winning the tournament, after junior F1 driver Pascal Wehrlein crashed out in spectacular fashion the previous day. Vettel had to see off Team USA NASCAR’s Kurt and Kyle Busch to claim the crown, having beaten Team Colombia (Montoya and Gabi Chaves) in the semi-finals. Meanwhile, Team USA NASCAR reached the finals after beating Team USA Indycar (Ryan Hunter-Reay and Alex Rossi) in the semis. The USA versus the World tournament was a tightly contested affair though, with the World emerging victorious 8-7 after a sudden death heat between Petter Solberg and the USA’s Scott Speed.